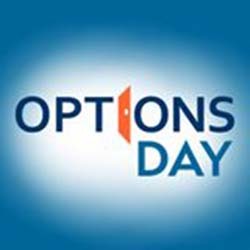 CQUniversity is once again proud to support 'Options Day', a community event being held in Bundaberg in the lead-up to national Disability Action Week, on Thursday, September 10. Now in its fourth year, the event aims to raise awareness about all of the career, volunteering and educational options available to people living with a disability. It will be held in conjunction with national RUOK Day, which is aimed at preventing suicide. Options Day provides an array of hands-on activities and information booths focused on supporting those in the community with disability. It will run from 9.30am to 1.30pm at the CQUniversity Bundaberg campus and is free to attend for all members of the community. Even though hosted at the University, attendees will be able to discover more than just university programs, with a number of exhibitors on hand to showcase vocational training, employment and volunteering opportunities. I'd really encourage everyone with a disability and those who work in disability services to head along to the event tomorrow and discover the many fantastic opportunities available in the local region. As always I am certain that this will once again be a terrific community event that the organisers do a fantastic job of pulling together.